There isn’t a bad movie that Judy Holliday doesn’t make better and honestly, I cannot think of one that she does not make great. Watch “Born Yesterday” and “It Should Happen To You” and she will steal your heart for the rest of your life. Watch some of the clicks below. I can never choose a favorite actor or movie, but she and hers are in the top ten somewhere. 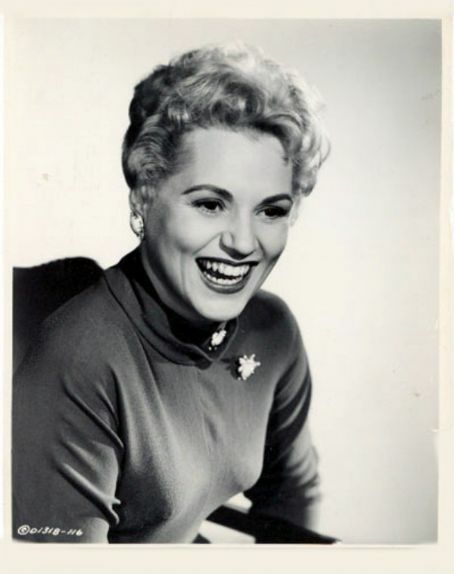 BEST KNOWN FOR: Actress Judy Holliday was know for playing dumb but good-natured characters. She won an Academy award for best actress in the film Born Yesterday. Judy Holliday was an American actress. Holliday began her career as part of a night-club act, before working in Broadway plays and musicals. Her success in the 1946 stage production of Born Yesterday as “Billie Dawn” led to her being cast in the 1950 film version, for which she won the Academy Award for Best Actress and the Golden Globe Award for Best Actress – Motion Picture Musical or Comedy. She appeared regularly in film during the 1950s. She was noted for her performance on Broadway in the musical Bells Are Ringing, winning a Tony Award for Best Performance by a Leading Actress in a Musical and reprising her role in the 1960 film. In 1952, Holliday was called to testify before the Senate Internal Security Subcommittee to answer claims that she was associated with communism. Although not blacklisted from films, she was blacklisted from radio and television for almost three years. Holliday died from breast cancer on June 7, 1965. She was survived by her young son, Jonathan Oppenheim, and by her ex-husband, clarinetist, conductor and educator, David Oppenheim, whom she had married in 1948 and divorced in 1958. She also had a long-term relationship with jazz musician Gerry Mulligan. Holliday was interred in the Westchester Hills Cemetery in Hastings-on-Hudson, New York. Jonathan Oppenheim grew up to become a documentary film editor of note, editing Paris Is Burning, Children Underground, and Arguing the World. Holliday has a star on the Hollywood Walk of Fame at 6901 Hollywood Blvd.